JULIAN STATION: LILACS Are Officially Here! Live Music Sunday at the Farmers' Market. LILACS Are Officially Here! Live Music Sunday at the Farmers' Market. Lilacs began blooming in Julian in early April. 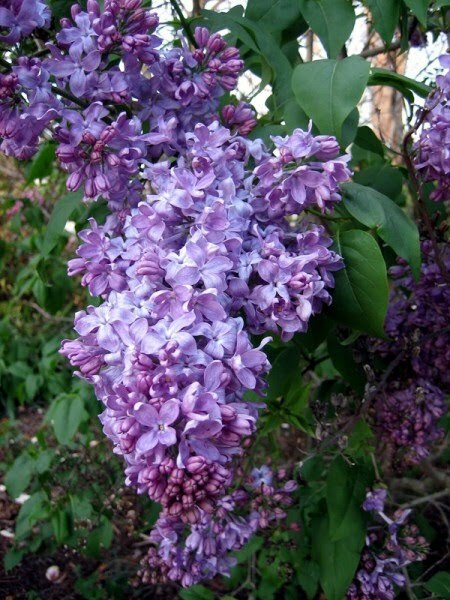 Spring is in the air, and the sweet smell of Julian lilacs is drifting in the mountain breeze. For those of you patiently waiting for Julian Lilacs, your time has come. Beginning today and continuing until they're gone in a few weeks, we will sell fresh cut lilacs from several local growers, including those from our own farm. Selling lilacs has been an annual tradition at the Wynola Farms Marketplace building for over 60 years and we're happy to be doing it once again (click this LILAC link to see short video). Come by for some fragrant lilacs and enjoy some wine, beer or hard cider tasting and shopping while you're here. The Julian Certified Farmers' Market will be open this Sunday from 11-4. The weather promises to be stunning and we will be featuring the music of local Julian singer/songwriter Paul Cruz on the patio. We are proud to announce that RK Ranch has joined the Farmers' Market to sell Julian-raised, Organic fed, free range eggs (a 1000 sq. ft. pasture for 20 chickens). Also, School House Gardens has re-joined the Market for the year and will be selling garden veggie starts, cactus, flowering plants and more. SAVE THE DATE: Julian Earth Day Celebration May 1st at Wynola Farms Marketplace at the same time as the weekly Farmers' Market (11-4). Please tell your friends and neighbors!